With school back-in-session, changes in weather and schedule can majorly affect your routine, and your child’s health. While anyone is liable to catch the flu year-round, cooling temperatures, along with more time spent indoors, can trigger this virus to spread more easily. The flu vaccine is an option for keeping little ones healthy, so we’ve rounded up some information to help you figure out if the vaccine is right choice for your family. The flu vaccine was created to respond to the changes in the flu virus as it constantly evolves. On a given year, it might not be much of an issue, while others, a wide spread of the virus can cause public concern. Flu symptoms generally include a fever, body aches, nasal discharge, and coughing. Young children especially can have reactions that include respiratory distress, stomach pain, and vomiting. The symptoms will usually last for a few days, and although there’s no cure, there are a number of over-the-counter fever and pain reducers that can help ease the discomfort and pain of the virus. It may lead to rare symptoms including pneumonia, dehydration, ear infections and sinus infections. Following recommendations from the CDC of its ineffectiveness this season, we will not be offering the flu vaccine in mist form this year. At Tribeca Pediatrics, we offer the traditional flu vaccine in injection form and your little one will be good to go. The flu vaccine can be administered starting at 6 months old. If your child is under nine years old and has never received the flu vaccine or only one dose prior, they will need to come back in one month for a booster shot. Some have reported having flu-like symptoms for a short time after receiving the vaccine, and this is a normal reaction that should last a short period of time. 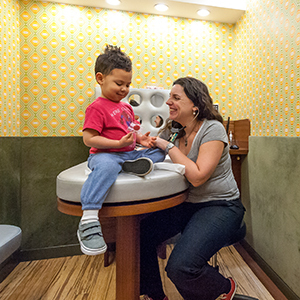 If your child has flu-like symptoms and a persistent fever for a few days, schedule an appointment to be seen. Flu shots are not required for school attendance in either New York or California. In New Jersey, children ages 6 months to 59 months, are required to receive the annual flu shot if they are in daycare or preschool. If your child has a chronic condition such as asthma that would make having the flu tougher on them, you may want to consider the vaccine more seriously. Otherwise, it’s just a matter of parental preference. Whatever your decision is, we’ll be here to support your family all flu season. Please don’t hesitate to contact us if you have further questions.